What, you thought Stanceworks’ Sharknose Week ended with last week? You thought wrong. It went into a little overtime, and the winner is our eyeballs. They say they saved the best for last with their week (and change) of glorious BMW E9 photography: the Alexander Calder 3.0 CSL art car. 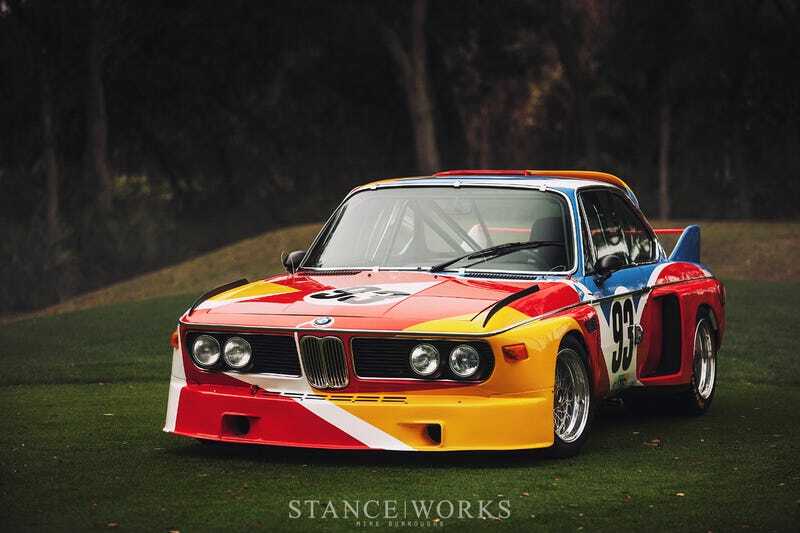 BMW has cranked out some gorgeous art cars over the decades, and this is where they all began. Oh yeah — and it raced at the the 1975 24 Hours of Le Mans, too. Head over to Stanceworks and try to keep the drool off your keyboard.